PHARR — While the Rio Grande Valley’s status as a major smuggling corridor is no secret, law enforcement agencies and nonprofit organizations are working to expose the presence of human traffickers and trafficking victims ahead of Monday’s World Day Against Trafficking in Persons. There are key distinctions between smuggling, which involves a crime against a border, and trafficking, which involves a crime against a person, said Michael Renaud, a special agent with Homeland Security Investigations. Smuggling is transportation-based, while trafficking is exploitation-based, and smuggling is voluntary while trafficking is involuntary and involves force, fraud or coercion. “Smuggling and trafficking can overlap,” Renaud said, noting that people who are smuggled across the U.S.-Mexico border can become human trafficking victims when forced to work in order to pay their smuggling fee. 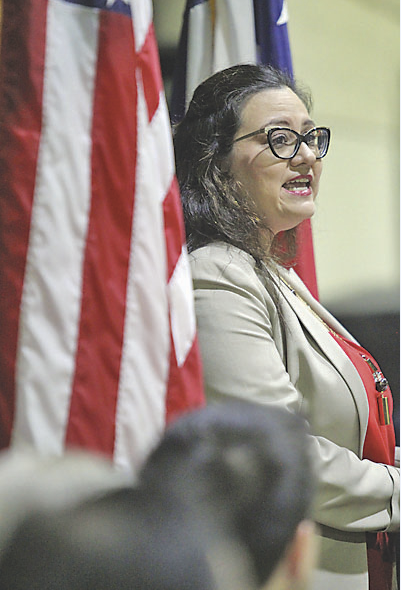 While the Hidalgo County District Attorney’s office, which organized Thursday’s event, does not have data on the prevalence of human trafficking in the Valley, nonprofit organizations cited the presence of trafficking in the agriculture and domestic labor sectors. Seven to 12 percent of agriculture workers in the Valley show high indicators, or “red flags,” of being trafficked, said Gonzalo Martinez de Vedia, a program manager with the Buffett-McCain Institute Initiative to Combat Modern Slavery, which focuses on human trafficking in Texas’ agricultural sector. 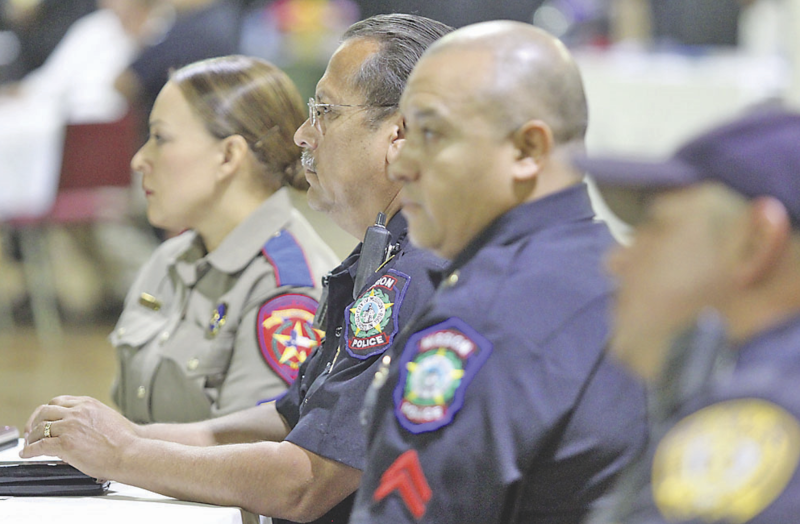 “We hear people having their documents held from them until the season is over, threats of physical harm, or actual physical harm,” Martinez de Vedia said. Refugee Services of Texas, which provides services to trafficking survivors, has approximately 35 open cases in Hidalgo and Cameron counties, the majority of which involve labor trafficking. The demand for cheap labor in the Valley encourages trafficking, she said, and RST receives referrals from immigration attorneys working with people who were trafficked while performing domestic labor, restaurant work or landscaping. Renaud, of HSI, urges people to contact law enforcement if they see a situation that looks like trafficking, or an individual that could be a victim. The HSI tip line can be reached at (866) DHS-2-ICE (866-347-2423).